SiteGround was established in 2004 by several college friends. Since that time they have steadily grown into one of the more respected hosting companies you’ll find today. They currently host over 300,000 domains and are growing that number every day by offering solid performance and friendly support. SiteGround offers several shared hosting packages as well as cloud, dedicated, and reseller options. This gives you the ability to grow with one company instead of having to transfer to a new web host if your needs exceed what shared hosting can offer. Our review covers their most basic hosting option, StartUp. SiteGround is a good host for beginners, especially those only looking to host one website. Their packages are a bit restrictive, forcing you to upgrade if you need features that some other hosts include – like the ability to host multiple domains under one account. They do have some gimmicky marketing for WordPress and Joomla hosting that are no different than their StartUp plan, so don’t expect to get any special treatment should you choose one of those options. 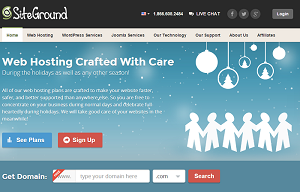 SiteGround’s initial prices are relatively cheap at $3.95/mo. One thing I do like is that they don’t force you into ordering multiple years to get the cheapest rate. Most other hosts make you commit to 2 or 3 years to get the cheapest initial price. Unfortunately, as is the case with so many web hosts, SiteGround’s renewal prices are pretty ridiculous. You will be paying $9.95/mo for renewal if you choose to stay with them after your initial term is up. This is unfortunately the way shared hosting works. HostMetro is the only company I’ve found that doesn’t increase renewals. While SiteGround does offer a good number of features, you do have to pay to upgrade to the accounts that offer them. Their StartUp plan only allows for you to host one website. If you want the ability to host multiple websites then you have to pay more than double, $7.95/mo. You also need to pay extra for backups, “priority” support (whatever that is), and many other features. What I do like is that they are very up front about the amount of disk space that you get with every plan. Unlike most other hosts that claim to offer “Unlimited” hosting, SiteGround gives clear and finite amounts. 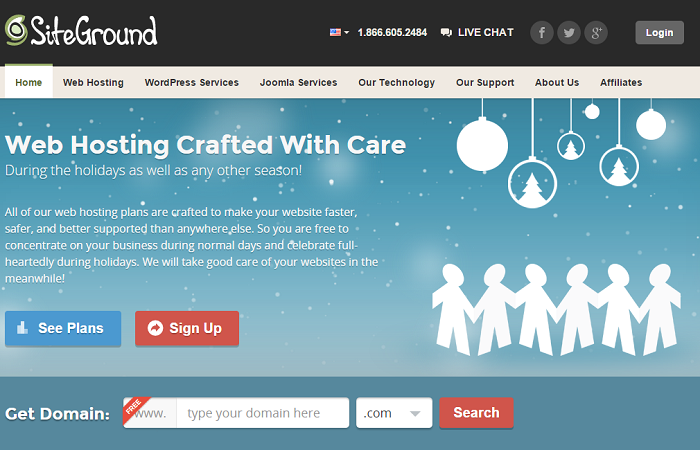 SiteGround has proven to be one of the more reliable web hosts I’ve tested. While not perfect, their uptime over the past 30 days is 99.9% with only one period of downtime spanning 11 minutes. Server response time is also generally good at an average of around 400ms. This is what made SiteGround stand out to me. Sure, their packages may be restrictive and their advertising a bit weird, but their support really is top notch. Every time I’ve opened a live chat with them It’s been answered in less than a minute, and someone has been able to quickly and accurately respond to my questions. This alone sets them apart from other hosts. I can’t tell you how often I’ve had to wait over 30 minutes just to get someone to open a chat and not be able to help me (cough, JustHost, cough). SiteGround is a good host if you don’t necessarily need to adhere to a strict budget and plan on growing your website. They give you the ability to easily scale into a bigger package if your website needs it. Although it may cost more than other places, you’ll be happy that you won’t have to mess around with transferring it away.